Often when someone creates an online store, they want anyone and everyone to be able to make a purchase. However, what if that’s not the case for your shop? You may want to sell specific products (or your entire catalog) only to existing customers, which requires a different approach. Fortunately, there are ways to do this quite easily. For example, you can set up a section of your store that’s password-protected or only available to logged in users, so only approved customers can access it. Alternatively, you can create a completely private store that’s hidden from the public. All you need is WooCommerce, and either the WooCommerce Protected Categories or the WooCommerce Private Store plugin. In this guide, we’ll show you how to use both of those plugins. Before that, however, let’s talk about why you might want to restrict sales to existing customers in the first place! At first, it may seem counter-intuitive to hide away some of your products or services. After all, the more people who can view what you’re offering, the more money you can potentially make. If you only sell to existing customers, how will you grow your customer base?! Doctors, pharmacists, and anyone else selling medication to existing patients that requires a prescription. Creatives (such as photographers) who put together projects for specific clients. Stores that sell tobacco, alcohol, or other age-restricted products. Wholesale outlets that only sell to businesses (or offer different B2B and B2C products). Learn how to restrict products in your wholesale store! In each of these cases (and many others), being able to restrict part or all of your store comes in handy. Let’s look at a few tools that enable you to do just that. Which WooCommerce plugins do I need to sell to existing customers only? This versatile WordPress plugin makes setting up and managing your e-commerce store incredibly simple. What’s more, it can be easily expanded with almost any additional feature you need. This plugin enables you to restrict access to particular categories of products, so that only customers with the right password or user role can view and purchase them. This comes in handy if you want to sell some items to the public, but reserve others for existing clients. With this tool, you can password protect your entire store or restrict it to logged in users only. Your standard web pages (home, blog, contact etc.) remain public as usual, but only approved customers will know you have a hidden e-commerce store. 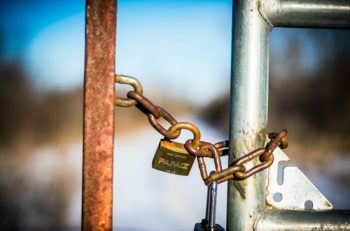 Each of these plugins lets you take an entirely different approach to locking up your store, depending on your goals and customers. In the next few sections, we’ll show you how to use both of them. Set up a WordPress website. 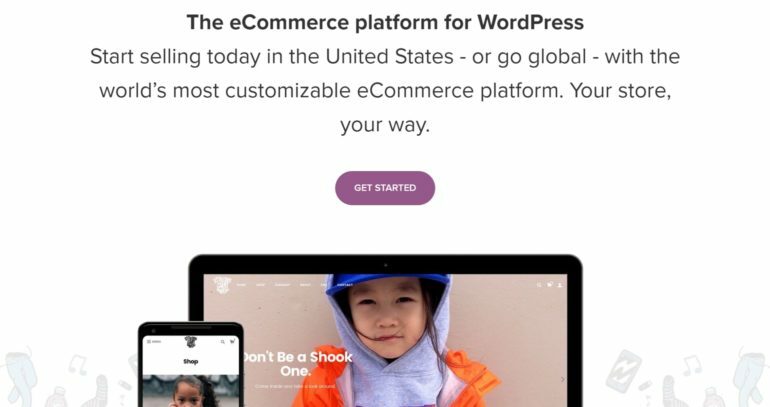 Added your products or services to WooCommerce. With that out of the way, all that remains is to decide which route you’d like to take. You can check out Method #1 if you want to learn how to password-protect specific categories of products, or restrict them to logged in users or specific user roles. Alternately, see Method #2 if you’d like to make your entire store private. The choice is up to you! First up, let’s look at how to restrict only some of your store’s contents. As we mentioned earlier, for this you’ll need the WooCommerce Protected Categories plugin. Therefore, your initial step will be to purchase and install the plugin. Don’t forget to activate your license key as well. Sell specific products & categories to existing customers only. Create one category for all the products you want to sell only to WooCommerce existing customers. Add several categories of restricted products, each of which will be visible to a specific customer (or group of customers). By default, all of your categories will be marked as Public. You’ll obviously want to leave that setting alone for any categories of products that should remain visible to everyone who visits your store. Or if each customer will have their own user account on your WordPress website, then you can use the ‘User roles’ or ‘Users’ options instead. These will automatically reveal the hidden products and categories to logged in users, depending on their account or role. Tip: If you want to create a dedicated user role for the existing customers who can access the protected products, then we recommend the free User Role Editor plugin. Simply install the plugin and clone the ‘Customer’ user role to create a new role. You can then restrict the category to this user role. Add or save the category when you’re done, and that’s it! Customers will need to fulfil the criteria you selected before they can view any of the items it contains. You can repeat this process for any additional categories of products that you want to sell only to WooCommerce existing customers. 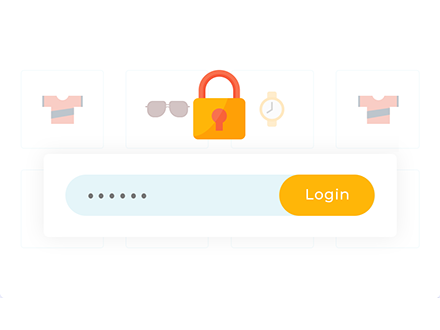 Here you can determine where protected categories are visible (and where they’re not), choose the page customers will use to log into your store’s password-restricted areas, and even customize the login form they’ll see. Remember to save any changes you make here before wrapping up. Now, let’s look at the other scenario we mentioned earlier. Perhaps you’d like to keep your entire store private, and only sell to WooCommerce existing customers. 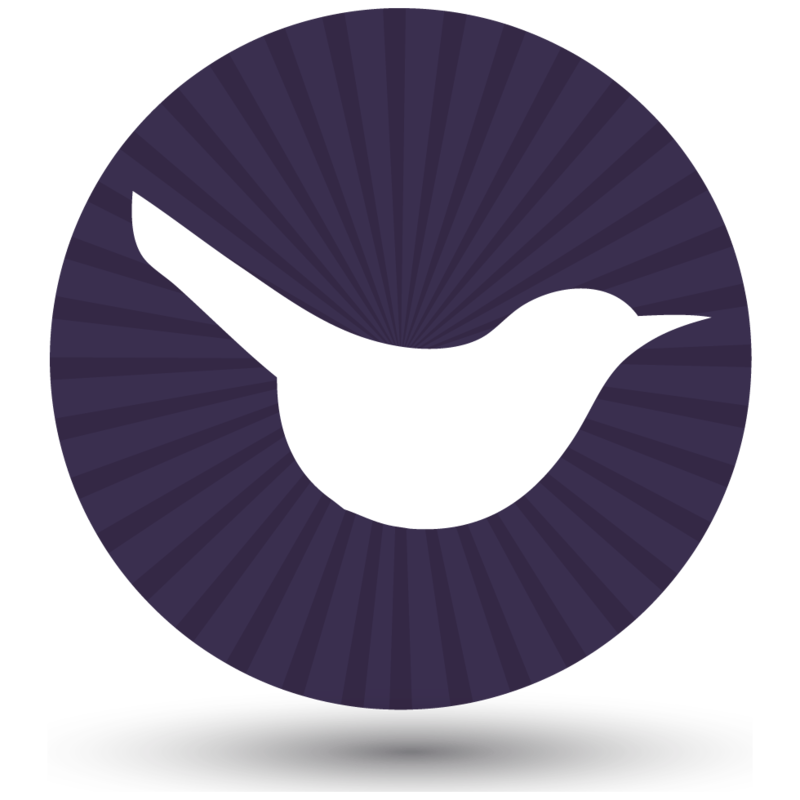 This is even easier to do – all you’ll need is the WooCommerce Private Store plugin. The easy way to restrict WooCommerce to existing customers only. You can click on the plus sign to add as many passwords as you’d like. This enables you to either set a single secure password all customers will use, or generate a unique credential for each person or company. Either way, once they enter the password they’ll get full access to your store and all of its items. You can also decide how long passwords will be valid for, and enter the URL customers will be redirected to once they’ve logged in (for example, your store’s main page). This will generate a simple login form based on the settings you just customized. Now, your WooCommerce existing customers can easily get access to your site, while the rest of your visitors won’t be able to see what it contains. If all your customers will have their own WordPress user account, then there’s no need for them to enter a separate password to unlock the store. Simply check the Logged in users box to unlock the store automatically for anyone who’s logged into your site. You can then use any free WP login plugin such as Theme My Login to provide a user-friendly store login form for existing customers. Under Settings > General, you’ll also want to disable user registration to prevent new users from registering and accessing your hidden products. If you’re selling sensitive, age-restricted, or customer-specific products, you won’t want just anyone to place an order. The good news is that, as long as you’re using WooCommerce to set up your store, you can restrict access to anything within it. Restrict specific categories of products, using WooCommerce Protected Categories. 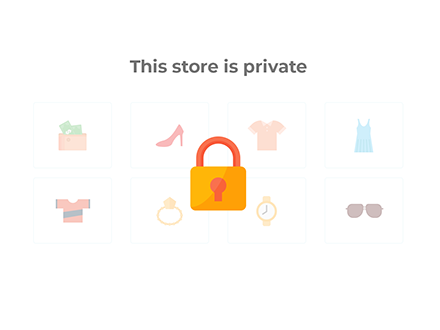 Make your entire WooCommerce store hidden, via WooCommerce Private Store. Do you have any questions about how to password-protect your WooCommerce store? Let us know in the comments section below!